Tô sem tempo de traduzir. 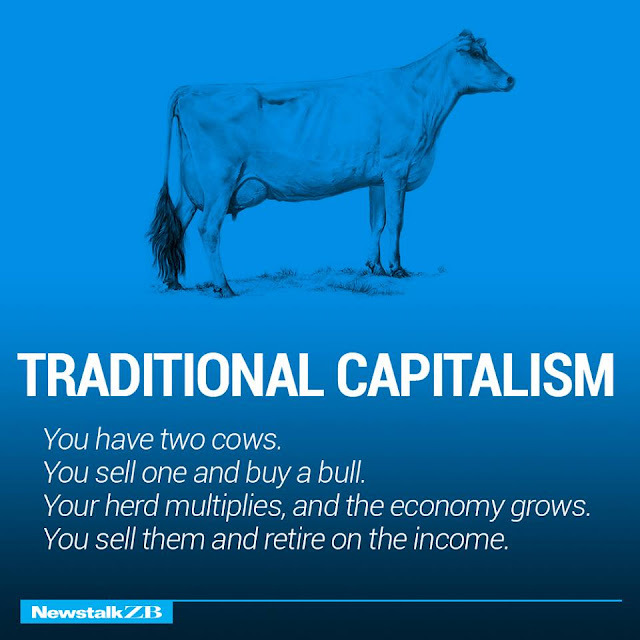 Explicando as formas de economia do mundo usando vacas como exemplo. 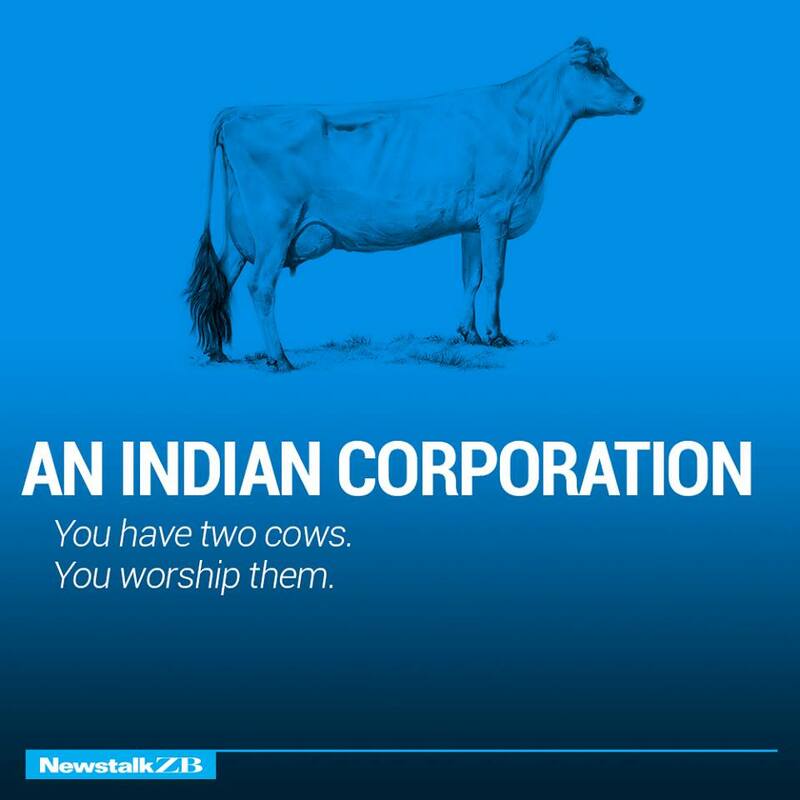 FEUDALISM: You have two cows. 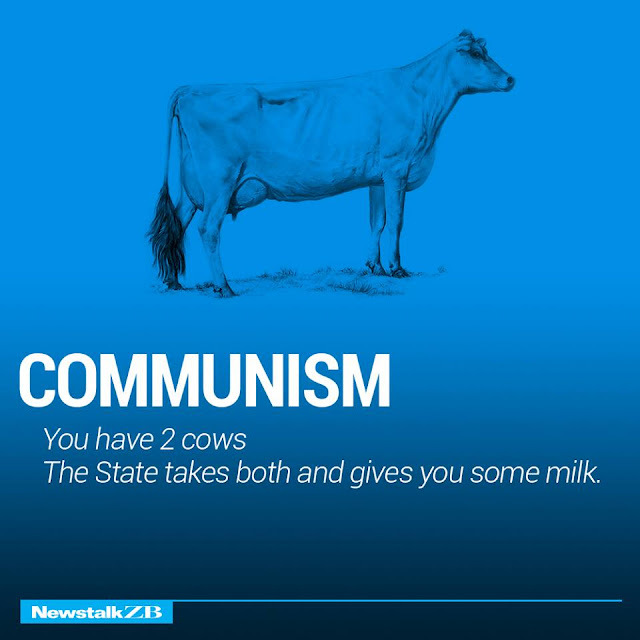 Your lord takes almost all of the milk. 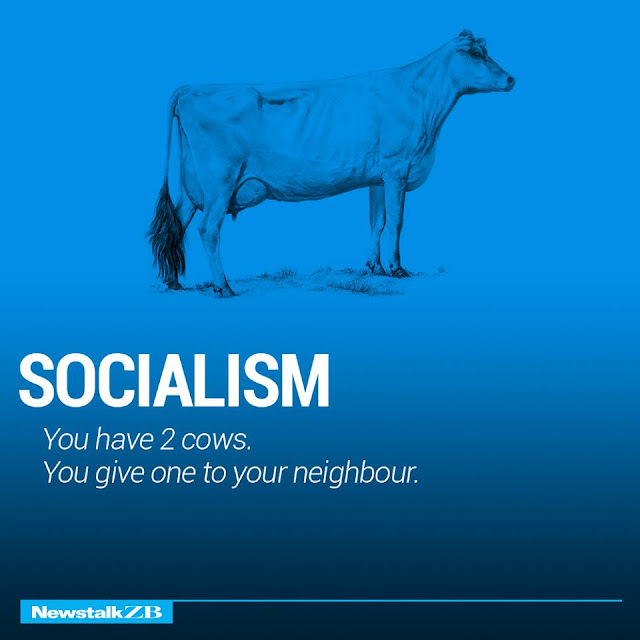 PURE SOCIALISM: You have two cows. The government takes them and puts them in a barn with everyone else's cows. 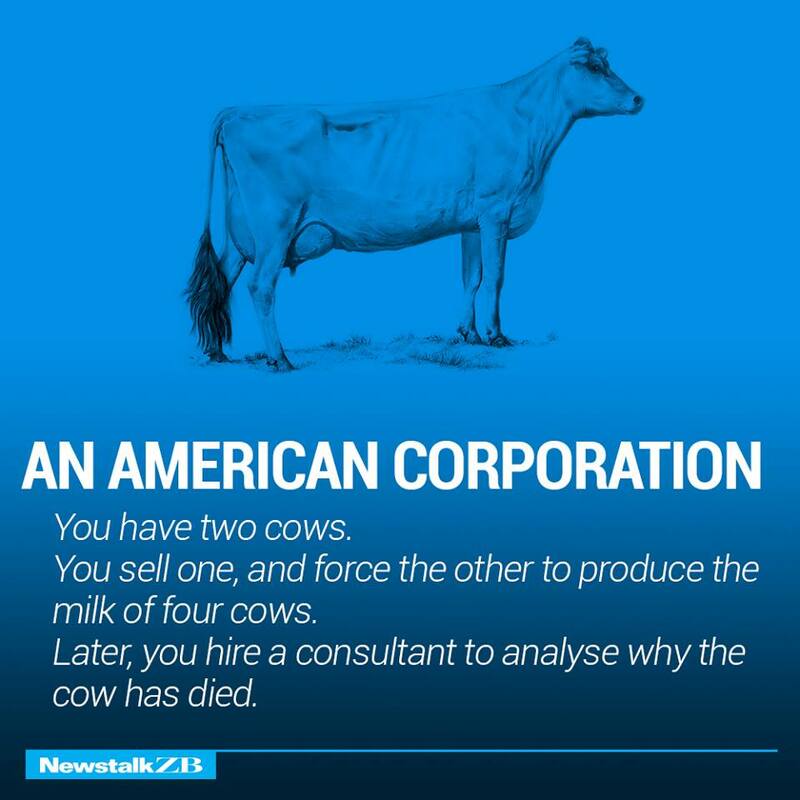 You have to take care of all the cows. The government gives you less milk than you need. 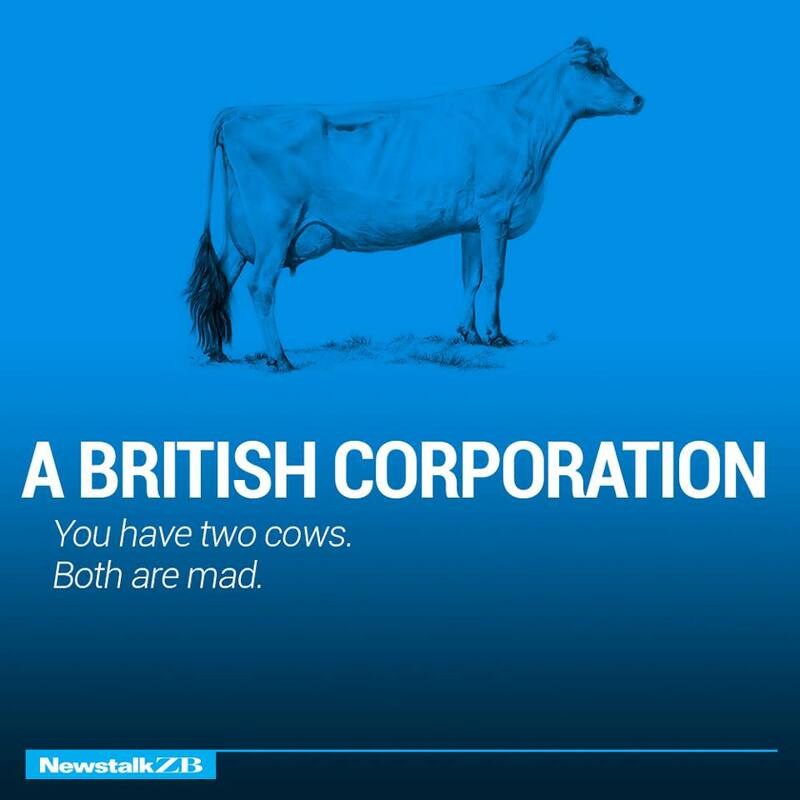 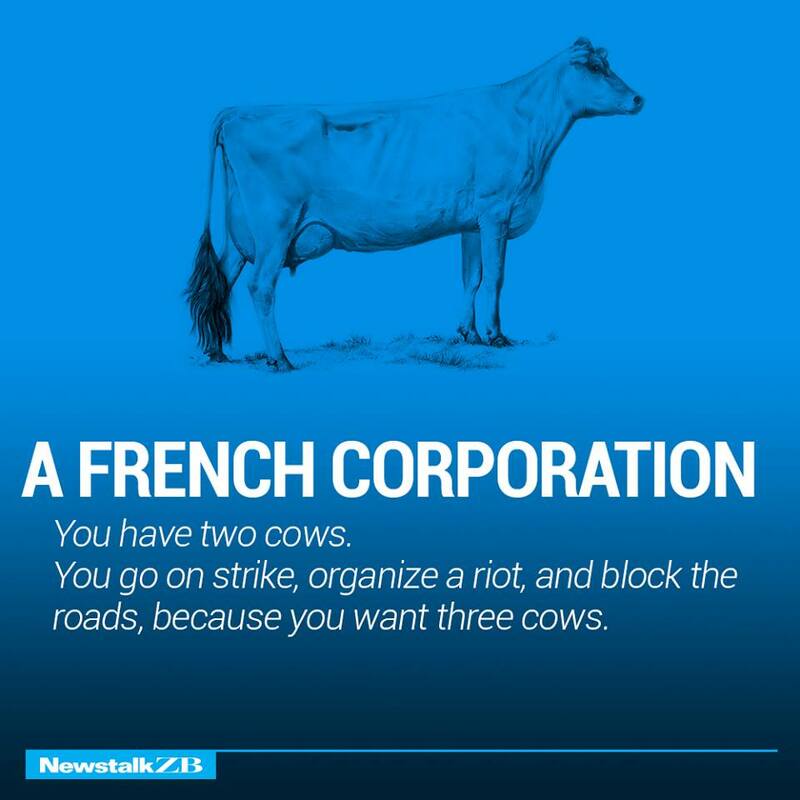 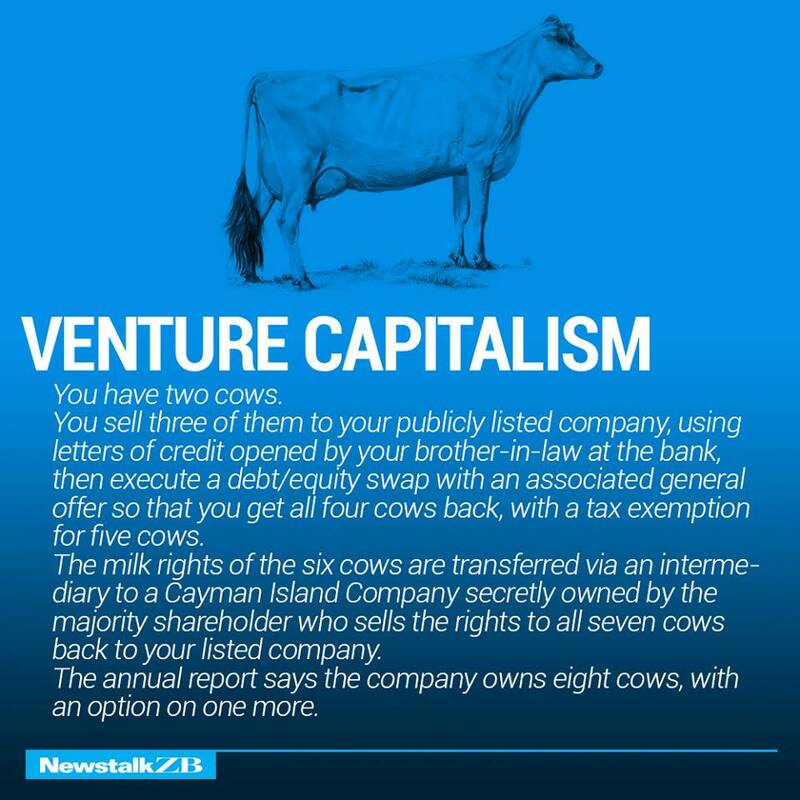 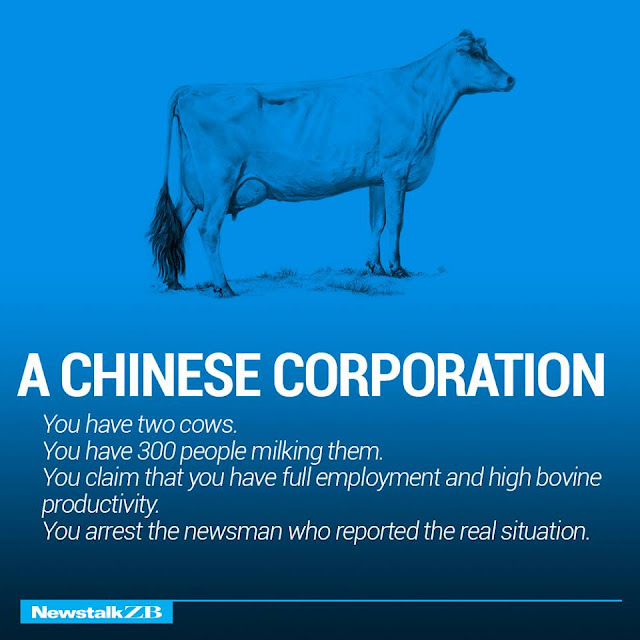 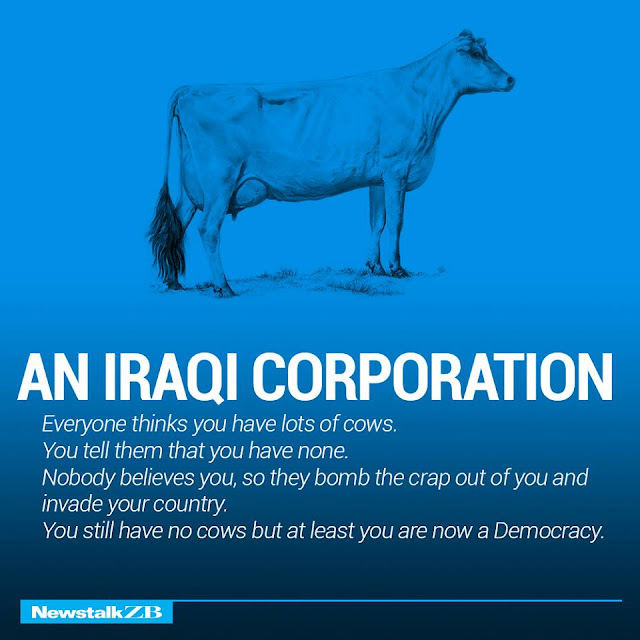 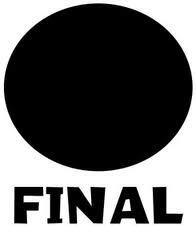 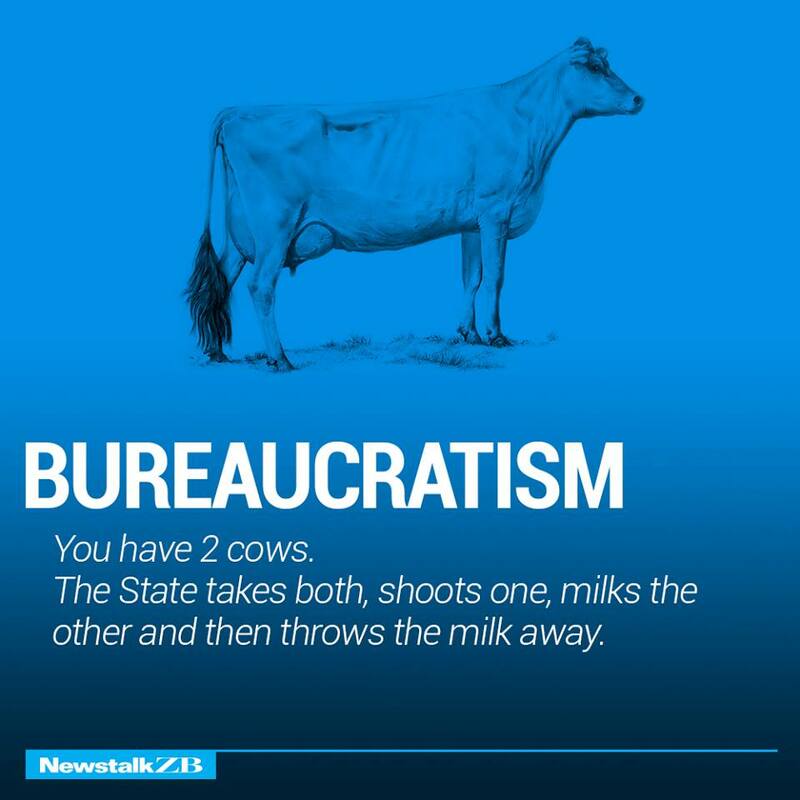 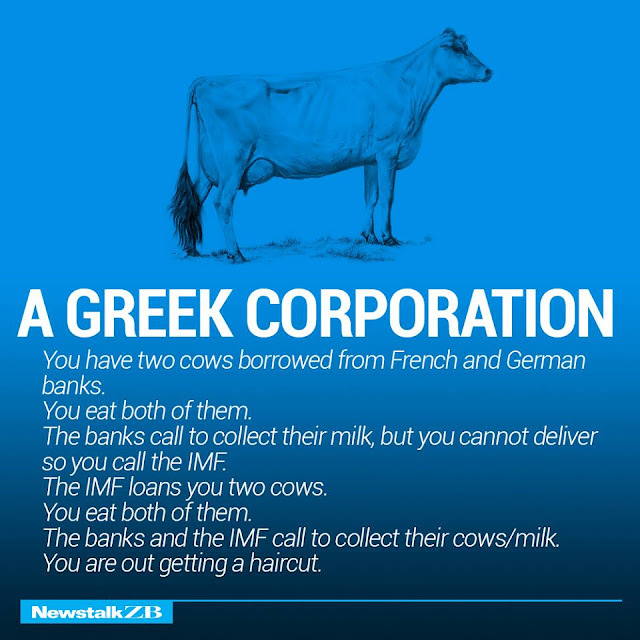 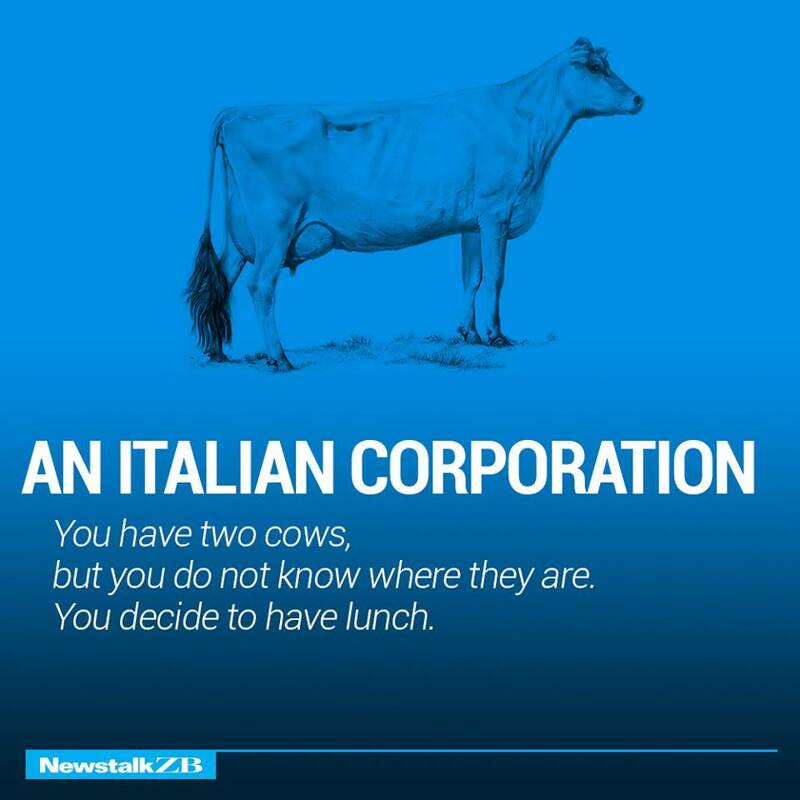 BUREAUCRATIC SOCIALISM: You have two cows. The government takes them and puts them in a barn with everyone else's cows. 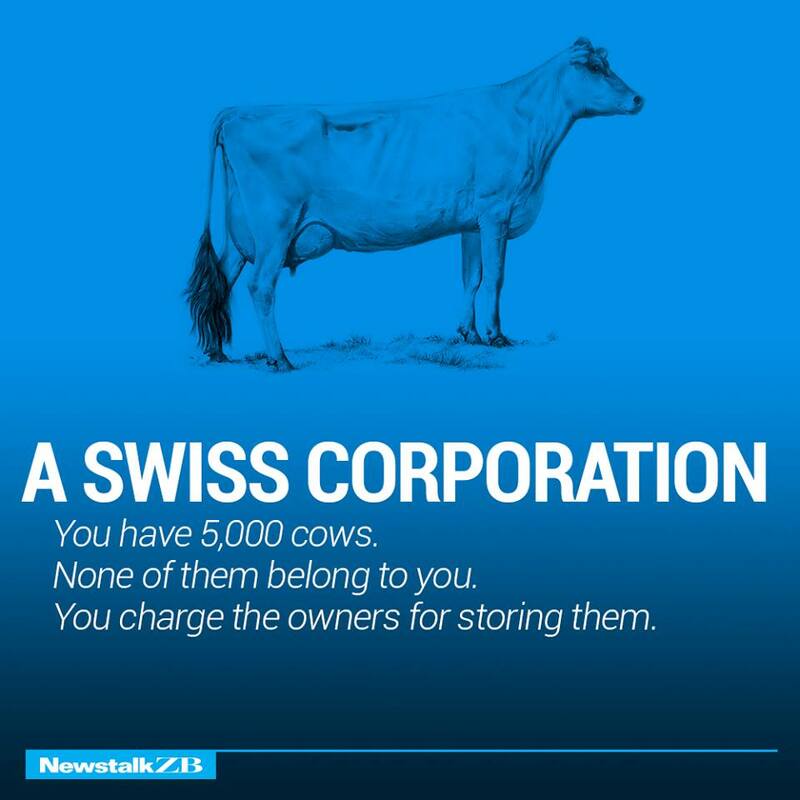 They are cared for by ex-chicken farmers. You have to take care of the chickens the government took from the chicken farmers. 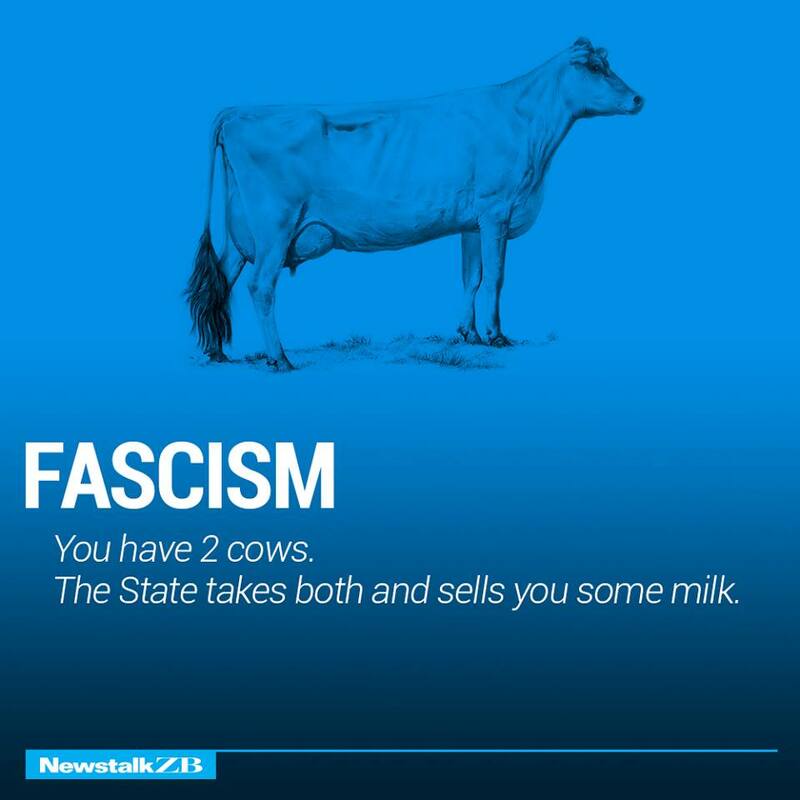 The government gives you less milk and less eggs than the regulations say you should need.